Ofcom has today published its first research into consumers' experience of mobile broadband in the UK since the 4G auction in 2013. The research measured the performance of 4G and 3G services on smartphones from the four main mobile operators - EE, O2, Three and Vodafone - in Birmingham, Edinburgh, Glasgow, London and Manchester. Helping to improve mobile coverage and quality of service are important objectives for Ofcom. Today's report is intended to help consumers understand differences in performance between 3G and 4G, and this kind of research is designed to support consumers in choosing a service that best suits their needs. The findings are also expected to encourage providers to improve their performance. Using smartphones, some 210,000 tests of 4G and 3G mobile broadband were carried out both indoors and outdoors across the five UK cities between March and June 2014. The measurements were taken by experienced Ofcom engineers. Download speed - the speed it takes to download data from the web. Upload speed - how long it takes to upload content such as pictures or videos. Web browsing speed - the time it takes to load a standard web page. Latency - the time it takes data to travel to a third-party server and back, which is important to reduce delays when making video calls, for example. In making choices, it is critical for consumers to assess what their priorities are. For example, faster download and upload speeds are important when accessing high volumes of data from a small number of sites, like when sharing images over social media, or downloading video files to watch on the move. But for streaming video, while it is important that the download speed is sufficient to deliver adequate quality, once this threshold is met it is likely that the total capacity available within a mobile contract's data cap is more important. For customers browsing the web with multiple tabs open, or making video calls, browsing speed and latency are important for better responsiveness and reduced delays. Ofcom recognises that mobile operators are continuing to expand their networks. The results, therefore, offer a snapshot of performance in the cities tested between March and June 2014. To ensure it is up to date with network developments, Ofcom intends to carry out a further wave of research and will be reporting the findings next year. Three was the last operator to roll-out 4G services in the UK and offers the service to all customers that have 4G-enabled handsets. EE and Vodafone delivered the fastest average 3G download speeds - at 6.8Mbit/s and 6.7Mbit/s respectively. This compared with average 3G speeds of 5.6Mbit/s for O2 and 5.2Mbit/s for Three. EE's (14.7Mbit/s) and O2's (13.0Mbit/s) 4G upload speeds were above average, followed by Vodafone and Three with 11.4Mbit/s and 11.1Mbit/s respectively. Three achieved the fastest average 3G upload speed (1.7Mbit/s). Lower latency will give a customer better responsiveness and reduced delays - important for web browsing and video calling. The results showed 4G services had lower latency and are more responsive than 3G services. This makes 4G more suitable for video calling or running apps where a fast response time is needed. Average 4G latency across all networks was 55.0 milliseconds (ms), compared with 66.7ms on 3G. Mobile operators have indicated they intend to match O2's 98% indoor coverage obligation for 4G mobile services by 2015. This will extend mobile broadband coverage into many areas still underserved by 3G. All four operators meet the 90% coverage obligation for 3G under the terms of their licences. However, this research uses more demanding criteria, in line with consumers' expectations. Ofcom's methodology assesses coverage where operators have busier networks, higher take-up of 3G services and deliver 3G at faster speeds. Note: Ofcom's methodology estimates premises with coverage, based on operator signal strength predictions. 3G and 4G data for EE, O2 and Vodafone, and 3G data for Three, are based on the operators' submissions, checked against Ofcom's own field measurements. In the time available it was not possible to resolve differences between Three's data and Ofcom's field measurements on 4G coverage, leading to its omission from this report. However, while not reporting estimates, Ofcom notes recent data, collected and published by OpenSignal, shows Three has the lowest 4G coverage of the four national operators. Ed Richards, Ofcom Chief Executive, said: 'Having fast, reliable broadband on the move is vital for many consumers and businesses across the UK. Today's research shows 4G is providing a significantly enhanced mobile broadband experience to customers, which we expect to be available to 98% of the UK population by 2017 at the latest. Ofcom is making progress on its plan to support improved mobile coverage in the UK and provide consumers with reliable information on mobile quality of service. Ofcom is also supporting the Government's £150m mobile infrastructure project, which is funding mobile phone masts in uncovered areas. 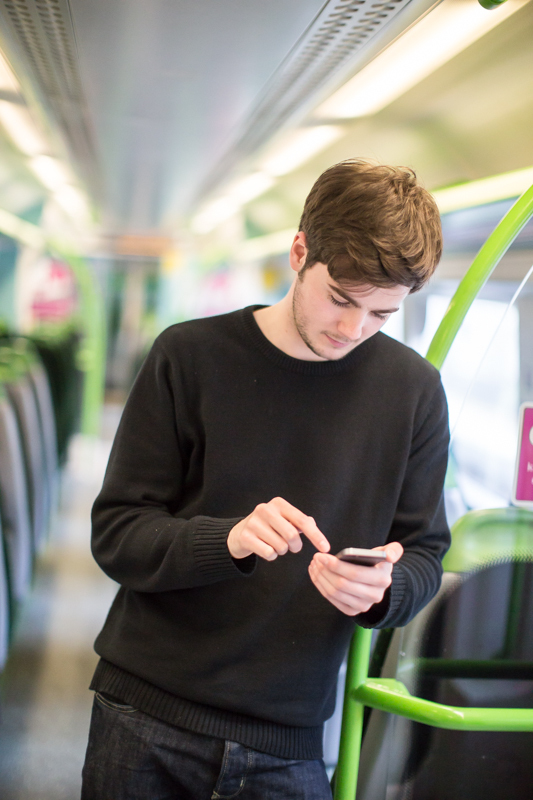 Ofcom is also providing technical support to the Department for Transport and Network Rail on improving mobile services on railways. Ofcom will continue to monitor and report on how mobile service quality develops over time. The second phase of this research is under way and we expect to publish in spring 2015. Mobile and broadband coverage are improving in the UK, but too many rural areas still get a poor signal, according to Ofcom research. Ofcom has made more airwaves available, and introduced new rules, to make it easier for mobile phone companies and wireless broadband providers to launch new technology, including 5G services. Ofcom carries out a range of research into how people use communications services such as broadband, mobile and home phone.